The ladies will look to steal the show early when we have two of the best flyweights in the area go face to face for the Iron Tiger Fight Series Flyweight Title. Larkyn Dasch of Michigan will change her roles, when she goes from Ring Girl to fighter March 3rd. Dasch a regular ring girl for IT will hand her duties over to step in the cage and looks to take home another strap home. Just couple weeks off of her TKO win she is ready to get back in the cage to take on Jayde. Sheeley took some time off to finish police academy and now that she has completed it she is ready to step back in. 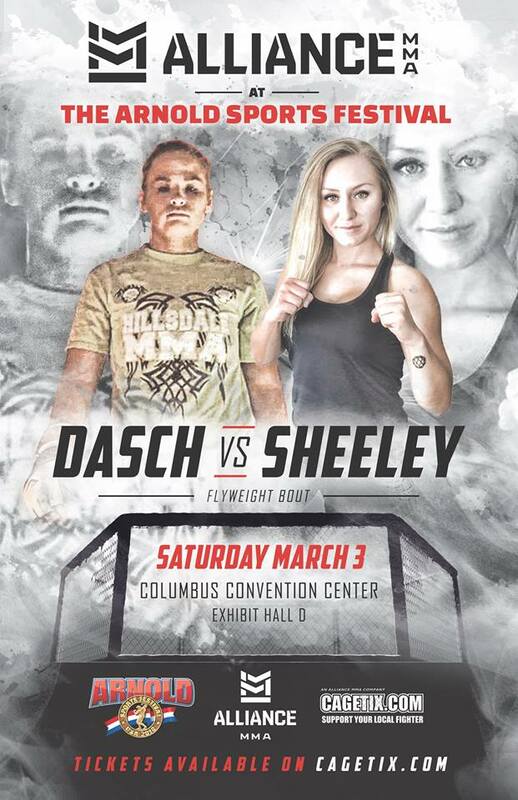 Daughter of world renowned kick boxer Scott Sheeley she looks to make a name for her self. A 4 fight veteran of the Iron Tiger she gets her first chance to take home a title. The ladies will end the three fight prelim card at the Arnold Sports Festival for the Iron Tiger Female Flyweight title. Grab your tickets from your favorite fighter.